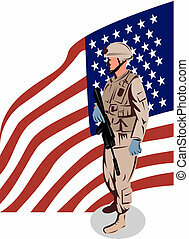 American soldier standing alongside american flag. 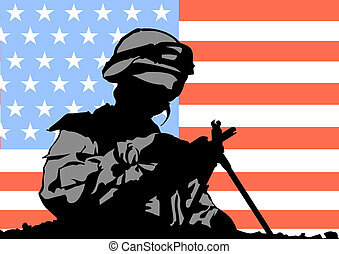 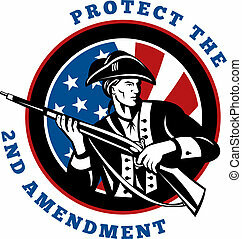 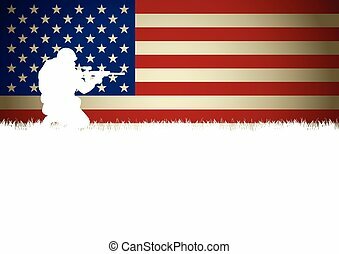 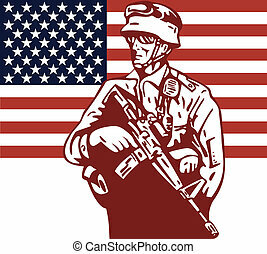 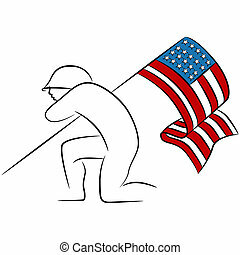 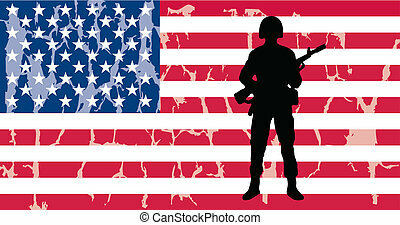 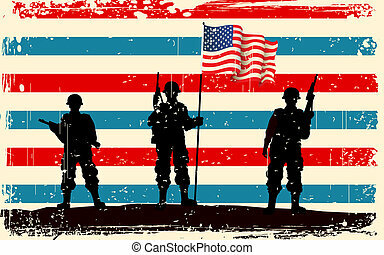 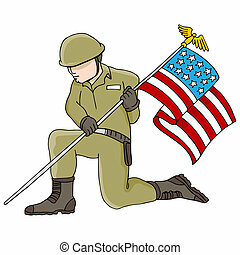 Illustration of an american soldier standing alongside an american flag. An image of a soldier holding an American flag. 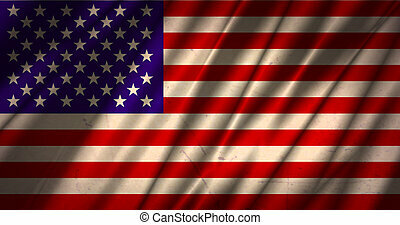 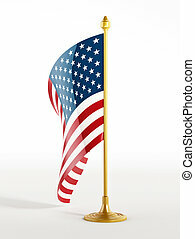 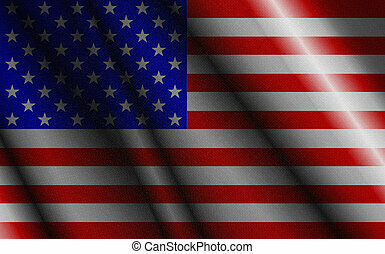 Desktop American flag isolated on white background. 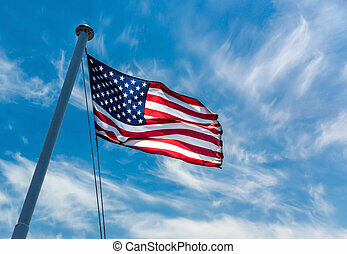 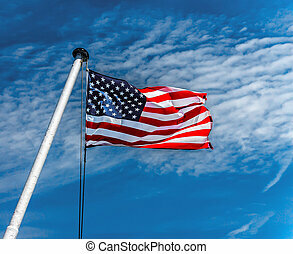 American flag flying against a blue sky. 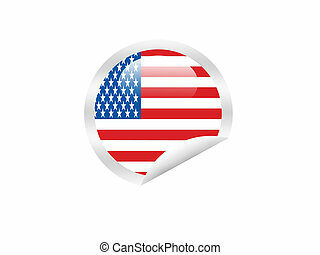 Business card template showing illustration of an American soldier military serviceman looking forward with USA stars and stripes flag in background set inside circle. 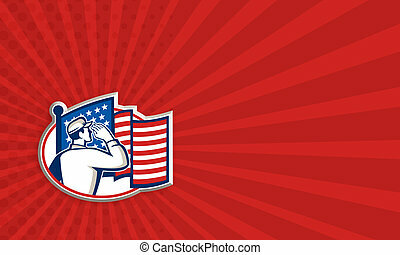 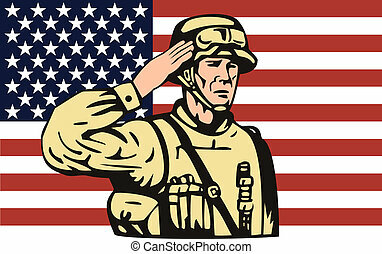 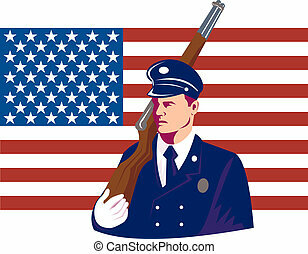 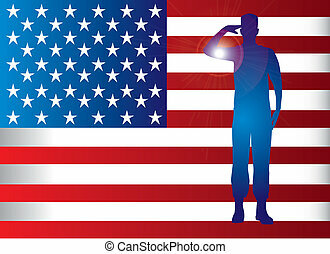 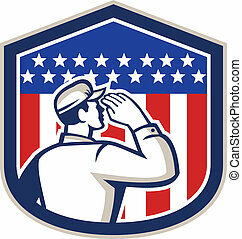 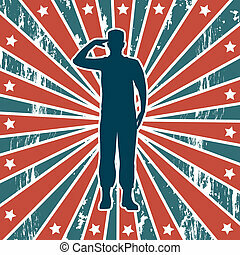 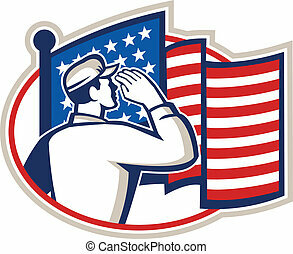 Illustration of an American soldier serviceman saluting USA stars and stripes flag viewed from rear set inside shield crest shape done in retro style. 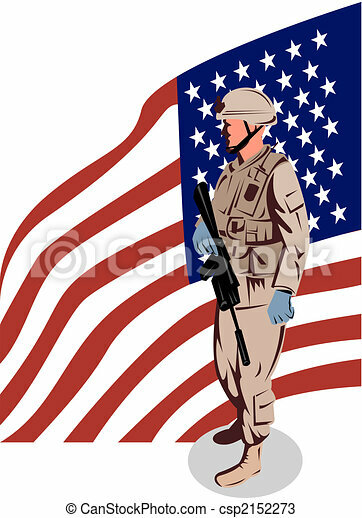 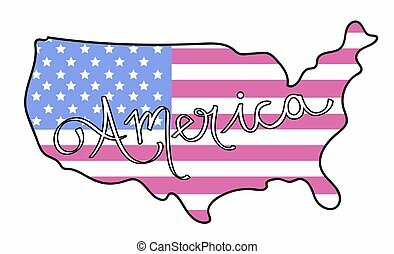 Illustration of an American solider military serviceman looking forward with USA stars and stripes flag in background set inside circle. 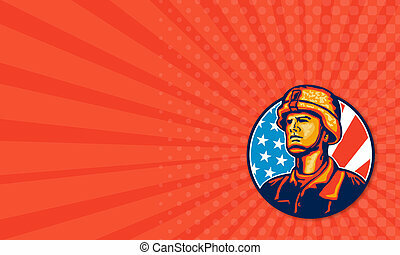 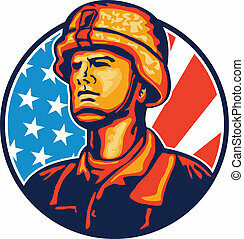 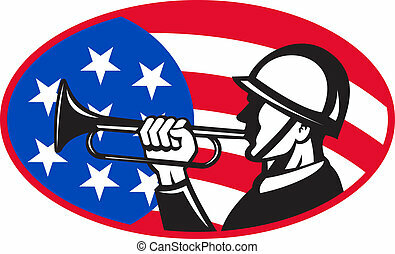 illustration of an American soldier with bugle and stars and stripes flag set inside ellipse done in retro style.